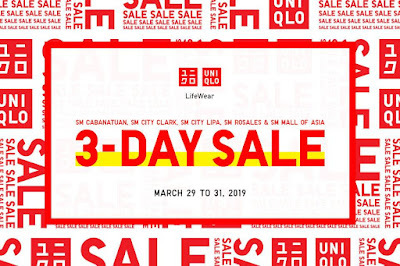 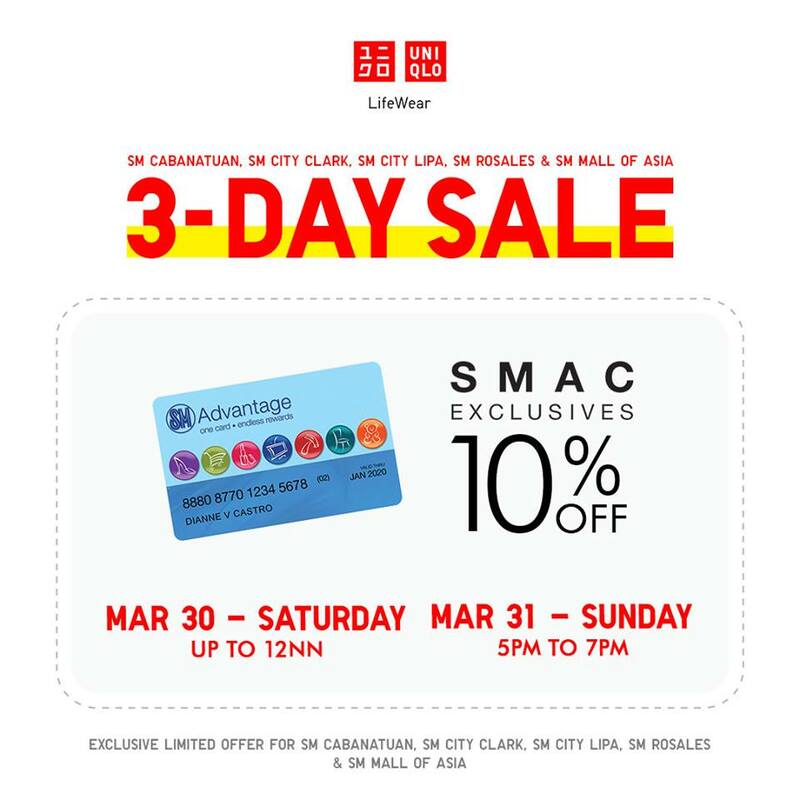 Check out UNIQLO's 3-day SALE happening on March 29 to March 31, 2019. 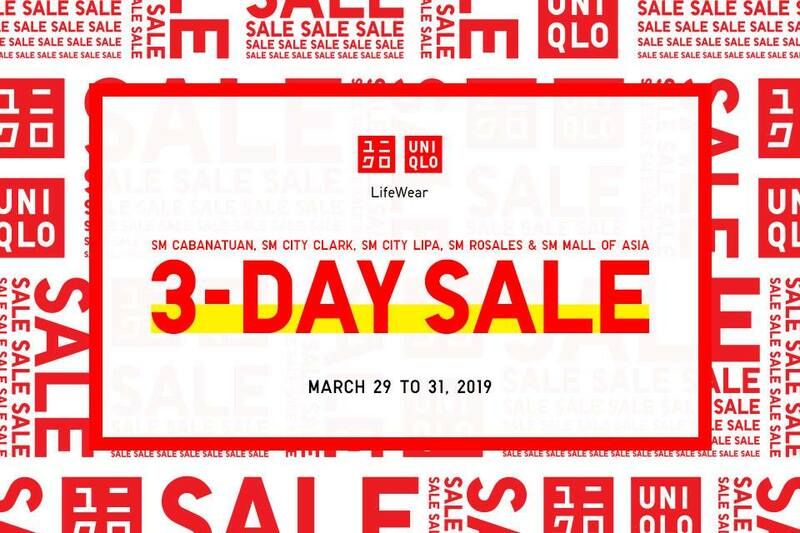 Catch all your favorite UNIQLO items on sale at SM Cabanatuan, SM Clark, SM Lipa, SM Rosales, and SM MOA. 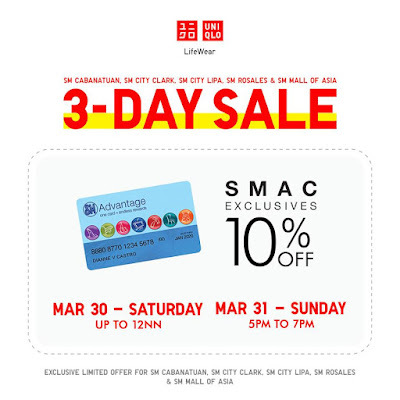 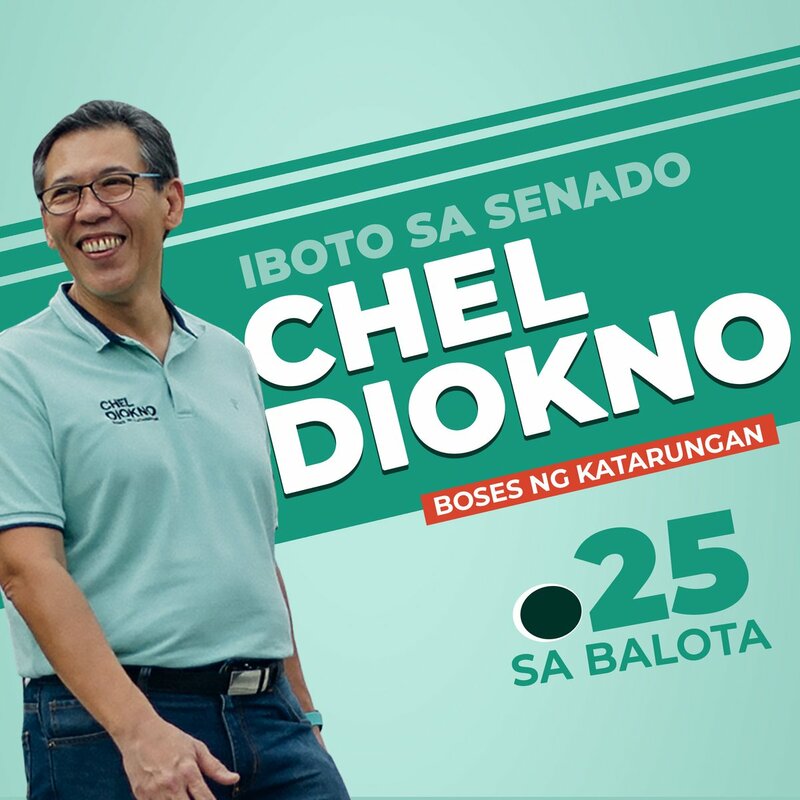 SM Advantage, SM Prestige, and BDO Rewards cardholders get extra 10% off on all items on March 30, 2019 (from store opening til 12nn), and on March 31, 2019 (from 5pm to 7pm).